Huobi Prime's second launch also marked key changes, including a special community round. 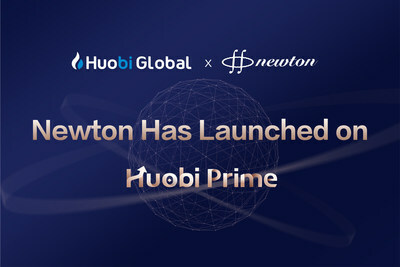 SINGAPORE, April 16, 2019 /PRNewswire/ -- In its second ever launch, Huobi Prime's pioneering platform for emerging premium coins has again met with huge demand. 17,863 users bought 2 billion NEW, the native token of Project Newton, during today's launch. The first two rounds of price limited trading sold out in a cumulative 6 seconds of active trading time on a first-come, first-served basis. In our special third round, all 16,130 users got at least some of the tokens they desired. "We're deeply honoured that so many users see the same value in Prime and coins like NEW as we do," said Ross Zhang, Head of Marketing for Huobi Group. "We're also really thrilled to see how many users were able to gain access to the NEW they desired in our special community round." In addition to the launch of NEW, today's launch brought with it a number of key changes for Huobi Prime. Driven by frustrations some users felt during our inaugural launch of TOP due to overwhelming demand and limited supply, for example, Huobi reserved a full 50% of its supply of NEW tokens for the special community round. Custom-designed to spread a greater number of tokens across a greater number of users via adjusted system matching, the community round helped ensure that all qualified participants got at least some of the tokens they desired. In addition, this time around Huobi also put in place a requirement that users have an average daily holding of at least 500 Huobi Token (HT) for the 30 days leading up to NEW's launch (though shorter amounts were possible if users held larger amounts of HT) and shortened each trading round to ten minutes each. "We'll be carefully evaluating the impact of the community round and our other changes over the coming days," Zhang said. "We plan to make Huobi Prime a source of ongoing innovation and improvement and, as we've said throughout this process, our goal remains to make it the premier place to access premium coins for the broader crypto community." NEW has now been fully listed – and is freely tradable – on Huobi Global in the form of NEW/HT. NEW/BTC, NEW/USDT will be added soon.